At the strike of midnight on All Hallows Eve, I offer to the viewers of this site a selection chosen specially for this occasion. I tried to select something airing on the creepy side, and I think this one is the best I can scare up. 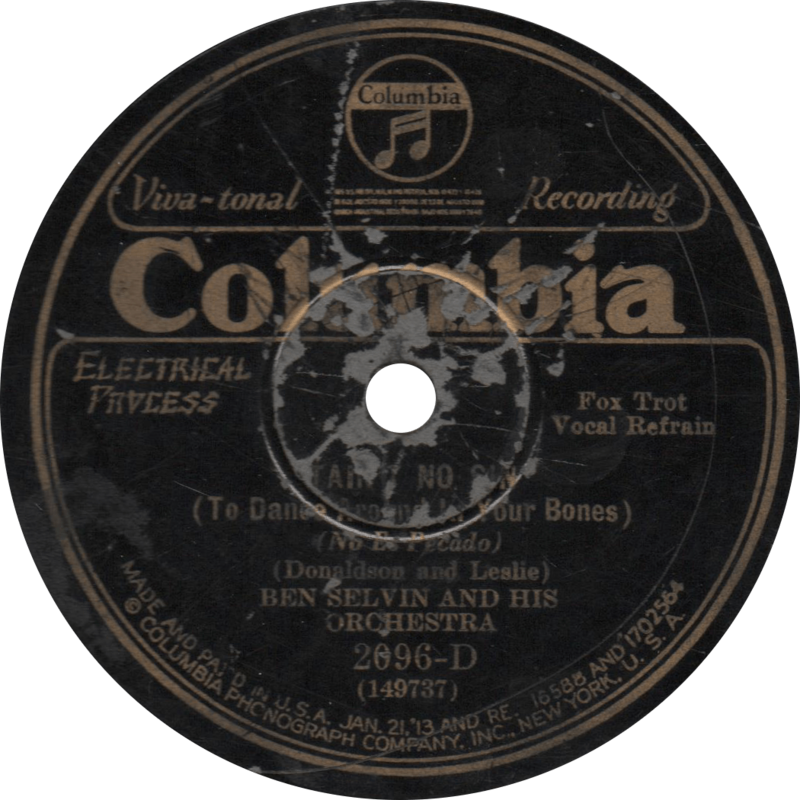 Columbia 2096-D was recorded January 7, 1930 in New York City by Ben Selvin and his Orchestra. I’m not sure of the identity of the vocalists on these sides. These labels may look rough, but I assure you folks that this one has it where it counts! As our Halloween special, here is Ben Selvin’s Orchestra with one of their hottest numbers, the classic “Tain’t No Sin (To Dance Around in You Bones)”. The vocalist on this side may be Irving Kaufman. ‘Tain’t No Sin (To Dance Around in Your Bones), recorded January 7, 1930 by Ben Selvin and his Orchestra. “Funny Dear, What Love Can Do” is a rather unremarkable dance band song, not bad by any means, but I find it has a hard time stacking up against the tour de force on “‘Tain’t No Sin”. 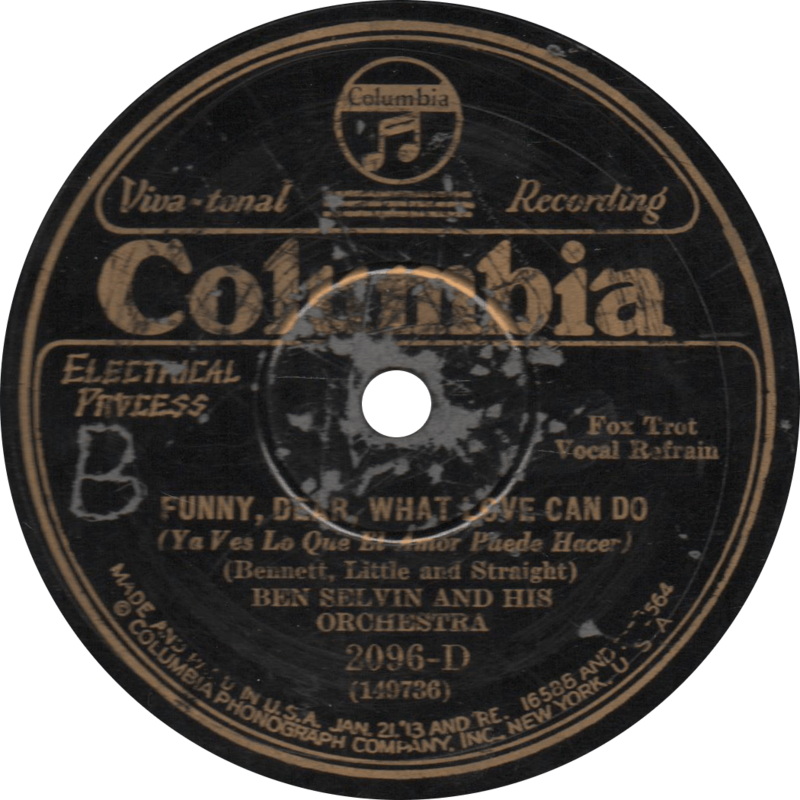 Funny Dear, What Love Can Do, recorded January 7, 1930 by Ben Selvin and his Orchestra. This entry was posted in Records and tagged 1930, 1930s, Ben Selvin, Columbia, Irving Kaufman, Jazz, New York by R. Connor Montgomery. Bookmark the permalink.